President Obama, Appoint Carl Malamud! Carl Malamud is a badass. If you are a techie or a transparency geek, you probably already know who he is. If you’ve never heard of him, he is an internet pioneer who has worked for decades, at times using renegade means, to make government information public. He fought to make the information in the SEC’s “EDGAR” database free and public (which it now is) and is currently leading a similar fight over the court records database PACER. 6. Rebooting .Gov. There is no reason why the U.S. Government should not be one of the top 10 destinations on the Internet! GPO should work with the rest of the U.S. Government to radically change how we present information on the Internet. Some of the initiatives would include installing a cloud for .gov to use, enshrining principles of bulk data distribution into legislation, and a massive upgrade in the government’s video capabilities. Remember when the Bush Administration would do things like put a guy who believed in the abolition of the Department of Energy in charge of the Department of Energy? Putting a government transparency advocate in charge of the GPO would be like that, except the exact opposite. You can read more about Malamud’s plans for animating the .Gov empire here. You can read more about his broader platform here. 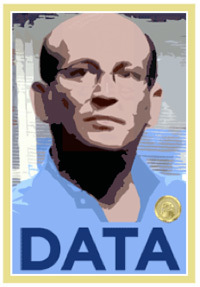 Appointing Malamud would be one of the most progressive things President Obama could do to support open government. Let’s hope it happens.